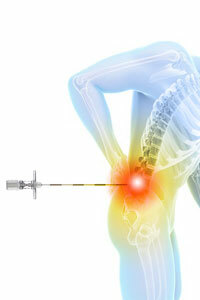 What Exactly Is An Epidural Injection? To relieve inflammation of the nerves, and symptoms associated with pain, numbness, and tingling, a physician will inject steroid based medication into the epidural space with the precise guidance of x-rays. The specific location of the epidural space is along the entire spinal canal superficial to the spinal fluid. What Type Of Conditions Can Be Treated Through The Use of Epidural Injections? Conditions such as herniated, protruding, or degenerative discs, osteoarthritis of the spine, spinal stenosis, and scarring after having neck or lower back surgery are successfully treated with Epidural Injections. Primarily, the neck area, mid and low back areas are effectively treated with epidurals, especially is you suffer from pain that radiates from the neck to the arms and from the back to the legs. If Epidural Injections Do Not Provide Relief, What Then? In the event that epidural injections do not provide the relief sought from pain, the source of pain then has not been determined. There may be other causes for your pain such as the joints, ligaments, or muscles surrounding the spine. It then would be important to utilize additional imaging studies and diagnostic injections to locate and treat the source of pain. Contact us today to find out if your pain condition would be treated best by epidural steroid injections.